Europe's biggest far right parties are hoping to secure election wins following a demonstration of allegiance with one another at a rally in the German town of Koblenz. The Europe of Nations and Freedom (ENF), a political faction at the European Parliament, on Saturday (21 January) heralded in a premier for Frauke Petry of Alternative for Germany (AfD), whose anti-immigrant party has attempted to distance itself from the more fringe elements of the grouping ahead of Germany's September elections. Petry's first ever public appearance alongside far-right heavyweight Marine Le Pen is part of a broader effort to capture what they say is a growing insurgency against the European Union, multiculturalism, Islam, and migration across the whole of Europe. Petry, Le Pen, and Dutchman Geert Wilders of the Party for Freedom (PVV) had entered into the Rhein-Mosel-Halle centre to the sound of Vangelis chants amid a standing ovation of several hundred party faithful. 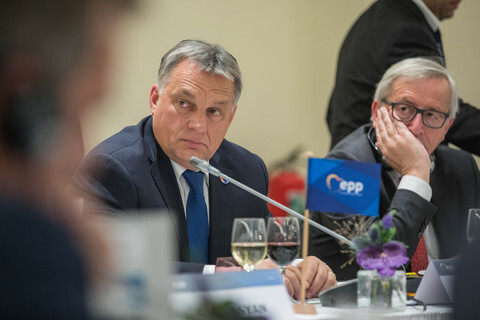 Leaders from Austria's Freedom Party, Belgium's Vlaams Belang, the Czech Republic's Dawn of Direct Democracy, and Italy's Northern League followed. Petry's husband, German MEP Marcus Pretzell, had organised the event, and opened the ceremony in praise of Donald Trump's US presidential win before launching sharp attacks against the European Union and Islam. "Welcome to the new Europe," he told a crowd, whose rambunctious presence filled most, but not all available seats. Pretzell also took a slight stab defending his press entry ban on major German media, including the Frankfurter Allgemeine Zeitung and Der Spiegel, noting that dozens of others were allowed in, including Deutsche Welle. 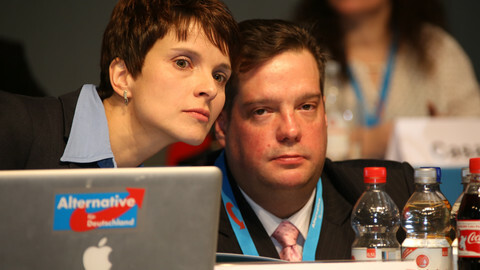 Senior figures within the AfD remain wary of the new Petry and Le Pen duo, however. Jorg Meuthen, who co-chairs the party with Petry, told German press that the "ENF matter has nothing to do with the AfD." The weekend rally also comes a day after Trump's inauguration, a man seen by Europe's far-right as an important driver towards the demise of the European Union and the full return of nation states with hard borders. Tempered by the UK's decision to leave the European Union and Trump's anti-EU and protectionist rhetoric, the far right rallying cry is aiming to capitalise on what it sees as a political momentum in its favour. "We fought, first of all separately in each one of our own countries, and now united, together," said Le Pen. All spoke in praise of Trump, with Italy's Lega Nord Matteo Salvini wishing him "good luck". With elections coming up first in the Netherlands, followed by France, and then Germany, the parties are banking on the public malaise triggered, in part, by a large inflow of refugees over the past two years to capture more voters. Wilders' PVV has already taken a lead in polls ahead of the 15 March general elections in The Netherlands and claims to draw supporters even among its Turkish diaspora. "The people, the normal, the common people, they will benefit and support us and will be the ones in charge again," Wilders told reporters. Marine Le Pen of the National Front is likely to make it to the final round of the French presidential election in late April. Le Pen, who was presented as the next president of France as she took the stage, said the AfD, despite its low appeal in Germany, represented the future of the country. 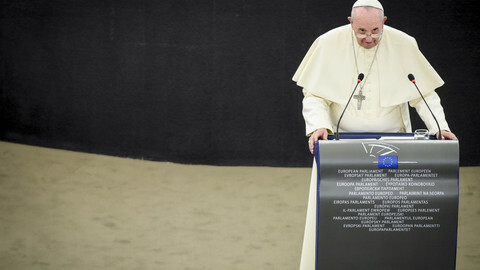 She then admonished German chancellor Angela Merkel's broad welcome for people fleeing war in Syria, railed against the EU and accused the Brussels' leadership of "tyranny". Her broadside against the chancellor was met with loud "Merkel out" cheers from the crowd. Like the other leaders present, she also spoke warmly of Trump. "We live in the end of one world and the birth of another," she said. 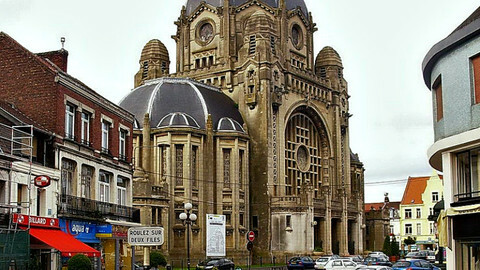 But the French presidential contender is struggling to finance her campaign amid allegations of fraud and siphoning off money from the European Parliament. 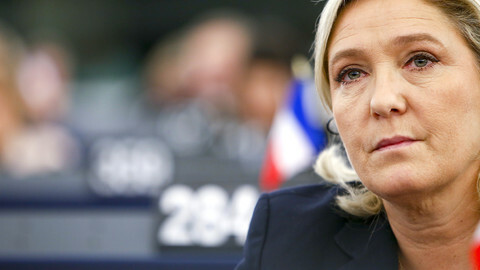 Le Pen had also called out to disgraced former Ukip MEP Janice Atkinson, who she described as a friend. Atkinson was booted out of the eurosceptic British party for false expense claims and now co-chairs the ENF. "Trump's election was Brexit with a nuclear warhead," said Atkinson before lecturing the media during a press conference. 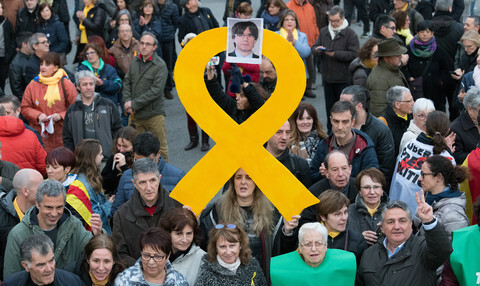 The presence of hundreds of police officers and demonstrators protesting the rally belies the mood in a town who's left-leaning mayor had opposed the event from the start. "The right-wing populists are cordially unwelcome," said social democrat Koblenz mayor Joachim Hofmann-Gottig. Demonstrators had already appeared on the streets late Friday evening. Around 150 had gathered in front of the main train station along with more than 20 police vans before the festive march headed towards Rhein-Mosel-Halle. The movement picked up on Saturday, with thousands marching against the far-right groups. One of the demonstrators, Hermann Spix, a 70-year old novelist from a nearby town, told this website that the AfD and similar groups have him worried. "I am very worried about what these people have as a programme, it is not my programme." Spix said he had fought hard for democracy and an open country during the late 1960s. That fight, he says, will carry on in the face of an ENF he describes as a step backwards for society in general. "There were more than 3,000 [protesters] today and they also want that," he said. 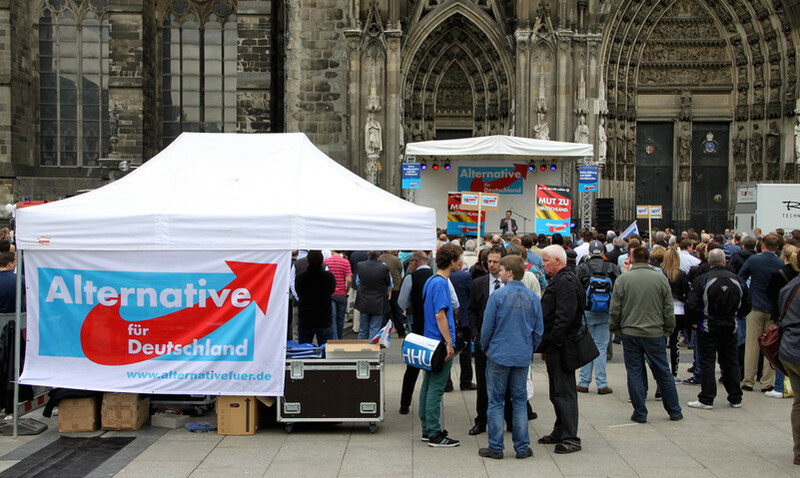 Far-right parties are planning to launch a joint anti-EU campaign, but their attempt at a show of unity has highlighted differences within Germany's anti-system AfD. Marine Le Pen reportedly did not meet with anyone from the Donald Trump team following her unannounced appearance at the Trump Tower in Manhattan. 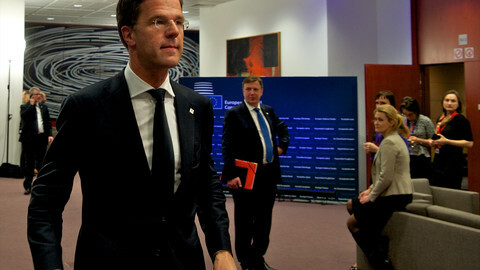 Mark Rutte says there is "zero" chance he will join a government with Geert Wilders after the 15 March election. 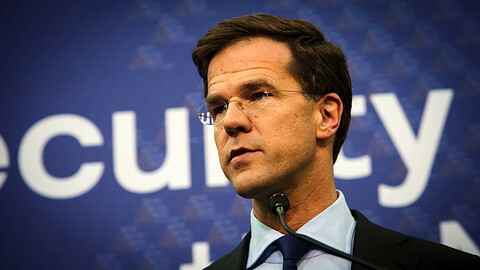 In comments designed to woo right-wing voters ahead of March elections, Rutte said Dutch society was tired of attacks by Muslims on homosexuals and women.